July 4: The celebration of this great nation’s independence. Every year, small towns and big cities across America celebrate in their own fashion on this special holiday. In Indiana, there is no shortage of excitement on Independence Day. 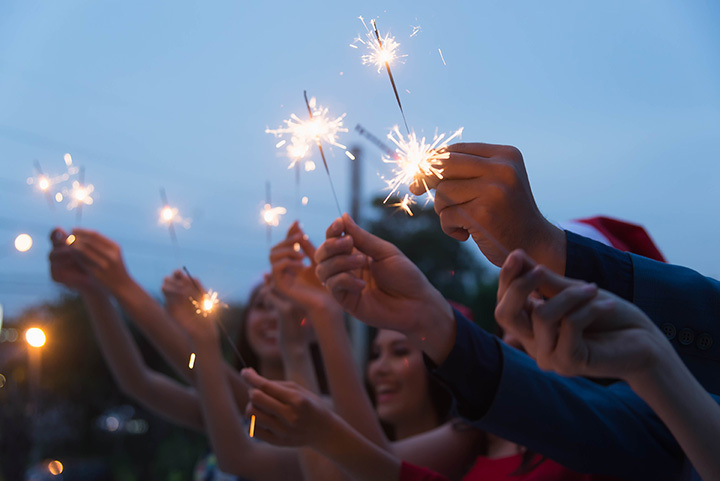 From festivals to parades to fireworks, and more, check out these 10 events for the perfect Fourth of July in Indiana! Head down to Carmel, Indiana, this Fourth of July the Carmel Ro and celebrate this country’s freedom. There will be live music, ranging from The Wright Brothers, the Carmel Symphony Orchestra, as well as the Josh Kaufman Band, and more! For the kids, check out the Carmel Fest Kid Zone, which offers so many kid-friendly activities such as School of Rock activities, tae kwon do, dance parties, and more! There will also be a zip line, magicians, and dance troupes! Feeling hungry? Check out some of Indiana’s awesome food vendors at CarmelFest’s Food Row which includes a selection gyros, corn on the cob, chicken skewers, fried Twinkies, and funnel cake! Don’t forget to watch the fireworks, which will launch at 9:45 p.m. on Wednesday! If you’re looking to do something fun this holiday and have seen your fair share of fireworks already, head over to Whiting, Indiana, and check out their 99th annual Fourth of July parade. The parade starts at 10 a.m. and ends in Whiting Lakefront Park. The parade features nationally-recognized characters, with one of this year’s theme being Marvel Superheroes! Come and meet some of your favorite Marvel comic book characters: Iron Man, Captain America, and Thor! For the Diary of a Wimpy Kid fans, come meet Greg! Come visit the small town of Walton, Indiana, for some Fourth of July fun this year! It is an all-day event starting with the 5K run/walk, followed by the abundance of vendors in downtown Walton. Also in the events lineup is a huge parade, delicious fish fry, car show, and a fireworks show in the evening. This event is a great time to meet up with your friends and family and celebrate in the best way possible. There is something to please everyone here. Looking for something a little unique to do with the family this Fourth of July? In addition to stopping by and checking out the Fourth of July festival in Walton, head up to Twelve Mile, Indiana, in northern Cass County for the Twelve Mile 500. Instead of running or walking, this race features something a little unique to Indiana. The Twelve Mile 500 is Cass County’s annual lawn mower race. That’s right. Lawn mowers. From Briggs and Strattons to other modified engines, come watch these machines power their way through 48 laps! Looking for something a bit more kid-friendly? For this Fourth of July holiday, load up the kids and take a trip to the Benjamin Harrison Presidential Site, located off North Delaware Street in Indianapolis. The cost of admission is free for all ages, so come on out and enjoy some good old-fashioned family fun! Enjoy delicious ice cream for $3 (all proceeds go directly to the site), and participate in vintage games such as croquet or hoops and graces. For the history buffs, take a tour of the historic Benjamin Harrison home and step back through time! Starting Wednesday, July 4, and continuing through Saturday, July 7, come visit the small town of Cicero, Indiana, for some awesome Fourth of July fun! Located throughout various locations in Cicero, such as Morse Lake, Community Park, Hamilton North Public Library, and on the historic Main Street, there are unlimited activities to choose from! For live entertainment, check out the band Blue River Band, performing at the Hamilton North Public Library and Cicero Pavilion. Stop by the Community Park every day for the Huesman Carnival, and be sure to stop the Cicero Christian Church for an outdoor family friendly movie! Come on down to historic Newburgh, Indiana, and spend your Fourth of July holiday at the Old Lock & Dam Park off Highway 662. It’s an “old fashion” community celebration with summer games, plenty of local food vendors, National Anthem and flag raising, as well as live music, and of course the firework show! Admission is free. Check out summer social games and great musical performance by the Old Dam Band. This is one festival you don’t want to miss! Head over to Pekin, Indiana, and help them celebrate their 188th annual Fourth of July celebration! From food courts to flea markets, rides, and games, there is so much to do at the celebration. Feeling like you could be the next Pekin Idol? Register and belt your heart out on Tuesday! For something a little more unique for the adults, check out Hell’s Half Acre Hillbilly Burlesque Show which features famous Moonshiners preaching their distilling tales and other fun stories. On Wednesday morning, there will be the annual parade starting at 8 a.m. and later in the day, the Pekin Fourth of July Queen contest, followed by fireworks as the sun sets. Also be sure to check out the annual Fish Dinner out on by the Borden’s Lion Club at the Perkin Park Shelter House from noon to around 2 p.m.
Come check out Linton, Indiana, this Fourth of July weekend and see Indiana’s largest Independence Day parade! There are so many different events to choose from at the Linton Freedom Festival, such as arts and crafts, a carnival, lip sync contests, and bed races! Enter your adorable babies in the Baby Freedom, Miss Sparker and Mr. Firecracker Contests, and check out the Keith Enochs Old-School Project, featuring live entertainment. The Linton Freedom Festival is one for the whole family this Fourth of July! Head on over to Miami County and visit Peru, Indiana’s July 4th Celebrations. Grab your sneakers because this event kicks off with the Firecracker 5K. Whether you plan on running or walking, this event is a great activity for the whole family and will get you jazzed for the Peru Fire Department Car, Truck & Bike Show that follows! After you catch your breath, head over to the Riverwalk to honor the men and women in uniform with this exciting car show. There will be plenty of food vendors, classic 50s-60s era music, and awards going on! View more Indiana July 4th Fireworks and Celebrations.